DAGs can model many different kinds of information. For example, a spreadsheet can be modeled as a DAG, with a vertex for each cell and an edge whenever the formula in one cell uses the value from another; a topological ordering of this DAG can be used to update all cell values when the spreadsheet is changed. Similarly, topological orderings of DAGs can be used to order the compilation operations in a makefile. The program evaluation and review technique (PERT) uses DAGs to model the milestones and activities of large human projects, and schedule these projects to use as little total time as possible. 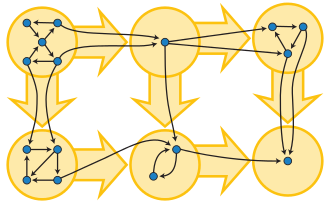 Combinational logic blocks in electronic circuit design, and the operations in dataflow programming languages, involve acyclic networks of processing elements. 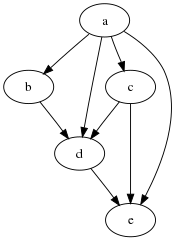 DAGs can also represent collections of events and their influence on each other, either in a probabilistic structure such as a Bayesian network or as a record of historical data such as family trees or the version histories of distributed revision control systems. 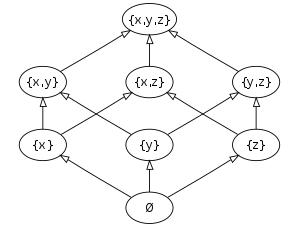 DAGs can also be used as a compact representation of sequence data, such as the directed acyclic word graph representation of a collection of strings, or the binary decision diagram representation of sequences of binary choices. More abstractly, the reachability relation in a DAG forms a partial order, and any finite partial order may be represented by a DAG using reachability.